Leo Kok was born in Amsterdam on November 24, 1893. His Portuguese-Jewish mother died during childbirth; his father died when he was eight years old. Perhaps these early losses and premature independence played a role in his many activities as a youngster. He graduated from the Rotterdam Maritime Academy and studied piano at the Conservatory in The Hague. Willem Pijper taught him composition; Leo admired him for his experimental style. Supposedly Leo played the Dutch premiere of Gershwin's Rhapsody in Blue. In the meantime, he also excelled in boxing and football and was even selected for the Dutch national soccer team which brought him eventually to Paris, the city that would play a pivotal role in his life. In 1919, he married the extravagant singer Hetty Marx, but Leo, a charming flirtatious man, was not cut out for married life. Hetty and their son Iddo saw little of him in those first few years. He was already working as a pianist and conductor aboard a cruise liner with regular service between Rotterdam and Rio de Janeiro and spent long periods of time in Brazil and Argentina. In the 1920s and 1930s he was living alternatively in Paris and Ascona and worked as a vocal coach. He apparently had a beautiful baritone voice. As of 1924, he performed with violinists Lennart von Zweyberg and Lidus Klein-van Giltay and other musicians. He spent a year in Berlin as accompanist of among others, the German dancer Charlotte Bara to whom he dedicated the last of his Trois danses exotiques for piano. Bara was known for her sacred Javanese and Egyptian temple dances. Her wealthy family had a huge estate in Ascona, Switzerland where they built especially for her the Teatro San Materno in 1927. According to reports her performances, accompanied by Kok, were magical. At Locarno's annual Camellia Festival, a scientific flower exhibition, Leo Kok triumphed with his composition Danse du Camellia; a solemn and passionate dance performance with ballerina Charlotte Bara as the flower girl. As a duo, the two criss-crossed Europe. At the Teatro San Materno and in the nearby Kursaal at Locarno, Leo worked occasionally as conductor. Ascona was the site of Monte Verità (the hill of truth) a utopian community, comparable to Frederik van Eeden's artists' colony Walden in the Netherlands, of the same period. Vegetarianism, theosophy, feminism, nudism, meditation and psychoanalysis; these ways of life were highly appreciated. Although Leo never had an active role, the esoteric and individualistic principles of the Monte Verita colony captured his imagination. He enjoyed his encounters with writer Herman Hesse, psychiatrist Carl Gustav Jung and other free spirits, artists, intellectuals and exiles from Nazi Germany. Ascona, next to Paris, soon became his second home. In 2011, Enno van der Eerden's book Ascona - Bezield paradijs (Animated paradise) was published, tangibly capturing the past, and in great detail. At the book launch, pianist Marcel Worms played Leo Kok's music in Hotel Monte Verità, a historic Bauhaus building on the site of the former colony. Today Ascona is a fashionable tourist resort, but the idyllic environment still breathes the air of its pre-war illustrious residents. Early on Leo Kok expressed his outspoken political views. As a conscientious objector during World War I he was imprisoned up to 1917. His political engagement also had consequences for his marriage. His wife Hetty and son Iddo were allegedly sympathetic to Mussolini and Leo eventually cut off all ties with them. As a compelling anti-fascist he fought in the Spanish Civil War in 1936 on the side of the Republicans. He was captured and imprisoned for a time in Portugal. He suffered a similar fate against the Italian fascists. During World War II, he was a militant fighter for the Resistance. Concert tours in Spain, Portugal and Italy were the perfect cover-up for intelligence work. As a spy for the British, he was arrested in 1943 in his apartment, located next to a studio where the Groupe des Six (the six French composers) had their first gathering in 1917. Leo Kok had become close friends with Francis Poulenc and Darius Milhaud, but especially with Arthur Honegger, in whose grand piano numerous identity papers were discovered, forged by Kok for fellow Resistance fighters. Now his fate was sealed: as a political prisoner - his Jewish origin was luckily not detected - he was transported via camp Drancy to Buchenwald. The Dutch journalist Leo Klatser, a communist and fellow inmate, remembers Kok's concerts with music by Ravel and Tchaikovsky. All members of his resistance group were murdered except Leo Kok; the liberation came in the nick of time. He underwent torture in Buchenwald - was hung on his wrists - forcing an end to his career as a pianist. 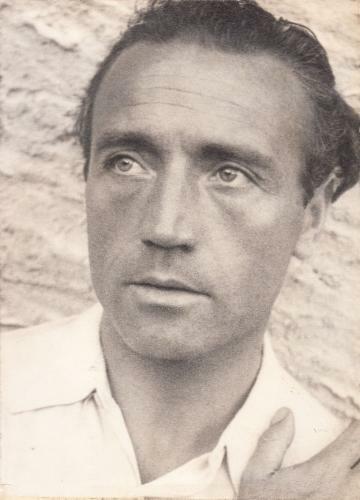 After the war Leo Kok lived alternately in Paris and Ascona. He opened a antiquarian bookshop in Paris, first selling works from his own collection. His love of books, awakened in the literary metropolis, culminated in another antiquarian bookshop in Ascona. The Libreria della Rondine became a popular meeting spot for writers, including his neighbor in Ascona, Erich Maria Remarque. He set poems of his mother in law, Marie Marx-Koning (later Metz-Koning) to music. He often made trips to Ascona with the poet Adriaan Roland Holst, on the lookout for women. he Leo had a special bond with a Resistance comrade, the poet Guy Levis Mano. Mano was also a translator and graphic designer and owner of Editions glm published Leo Kok's song cycle Sept mélodies retrouvées. The bookshops demanded a lot of attention which left hardly any time to compose. Between 1955 and 1960 he wrote music for the puppet theater in Ascona, and was its musical director. In 1979, he was diagnosed with cancer and withdrew from the bookstore and public life. Leo Kok was an aware witness of almost the entire twentieth century. His life ended on August 7, 1992, in Ascona; his ashes, typical for his eventful life, were scattered over the river Seine in Paris, his spiritual home. Leo Kok was a compassionate man and had an enormous affinity with Buddhist practice. He wasn't attached to material things and for that reason, shortly before his death, he destroyed his personal archive. This doesn't make it easy for a prospective biographer. Nevertheless, Leo Kok's life could be a stunning backdrop to illustrate the various cultural and political movements of twentieth century Europe. Leo Kok's music has a distinctive, personal style, influenced by Debussyian impressionism. He shows a predilection for dance rhythms with a touch of exoticism and especially his songs have a dark, German romantic nature. His collaboration with the oriental-inspired dancer, Charlotte Bara and his passion for literature have left their marks. All his music has a melancholic undertone. The early loss of his parents were a contributory depressing element. What to think of a songtitle like Petite chanson pour les enfants qui n’ont pas de Noël? Paris as ever, is full of artistic activity. Concerts, exhibitions of the famous and the unknown, the latter more “important” and accessible; the famous ones have become ordinary business people, too expensive for me. Anyway, I am not a frequent concert-goer even though I love music, concerts often take too long. I prefer a small amount of pretty much everything. His art songs can be regarded as the best part of his oeuvre. In 2006 pianist Marcel Worms visited Leo’s aunt by marriage in Vancouver, she generously gave him a collection of songs, including the Sept mélodies retrouvées, dedicated to her mother, who had collaborated with Leo Kok in the French Resistance movement. These songs have a distinct French mood, a subtle treatment of lyrics and easyness without being shallow. In a natural manner, Kok reconciled lucidity with romanticism, and his songs are redolent of a Central European idiom. Regardless of the language - English, French, German, or Dutch - the composer always stressed the meaning of the texts through music. Composing was for Leo Kok just one of his many pursuits. The publication of the Trois danses exotiques (his most successful piano work) and Enfance (dedicated to Iddo) by the renowned music publisher Chester, could have generated success and fame, but it seems that Leo Kok's ambitions lay elsewhere. Although his music is meticulously crafted, there is a congenial informality about it. Leo Kok didn’t make statements, didn't rigidly propagate an ideology or aesthetics. He is rather an engaging storyteller, an endearing creator of atmosphere. Albeit not necessarily on the front row, he definitely deserves a spot in the pantheon of composers. The performance of Sept mélodies retrouvées organized by the Leo Smit Foundation was the prelude to a CD of Leo Kok's chamber music, released in 2013. Jacqueline Kiang, an artist born in New York and Leo's last spouse and muse, was present in the studio for the entire recording session.